Description: Add or Create Instagram Tab on your Facebook Pages. Show your Instagram Feed Automatically in your Facebook Fan Pages. Do you want to add your Instagram account into your Facebook fan pages? Do you want to show your Instagram feed in your Facebook page via an Instagram tab? Here is a quick and easy guide. In the last article, you learned how to add Twitter tab in Facebook pages. Once you add your Instagram account with your Facebook page, you may get additional followers to your Instagram account. Your Facebook fans can directly follow you on Instagram without leaving your Facebook page. The app will automatically sync Instagram feed into your Facebook pages. This Instagram tab also has different viewing mode such as thumbnail, quarter, small and normal. Your Facebook fans can view your Instagram photos inside your Facebook page and also they can like directly in the feed and also they can share your Instagram photos into their wall with 'share on your wall' option. Therefore, here is a quick guide to add Instagram tab on Facebook pages. 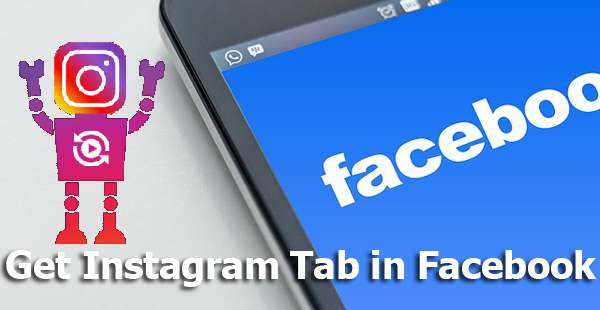 Login to your Facebook account, and click here to install Instagram tab in Facebook Page. Now, select the page in which you want to add Instagram Tab. Finally click on 'Add Page Tab'. Your Instagram tab has successfully installed to your Facebook page. You will see the setting page. Type your username of your Instagram Tab, select the view mode, and hit 'Save settings'. Now, your Instagram tab is ready with your Instagram account. Instagram follow button will not be available to page admin while it is fully functional to your Facebook fans. Here is a live simple video for adding Instagram tab in a Facebook fan Page. If you like this video, subscribe our channel to get free updates like this!